Arches Gallery at the Workhouse Arts Center is pleased to announce People’s Choice Award for March 2019. These and our special group show “March Madness” emphasizing 3-D art work may be seen until March 31t. First Place People’s Choice Award goes to Kathleen Best Gillmann for her oil painting, “Fly Fishing Only! 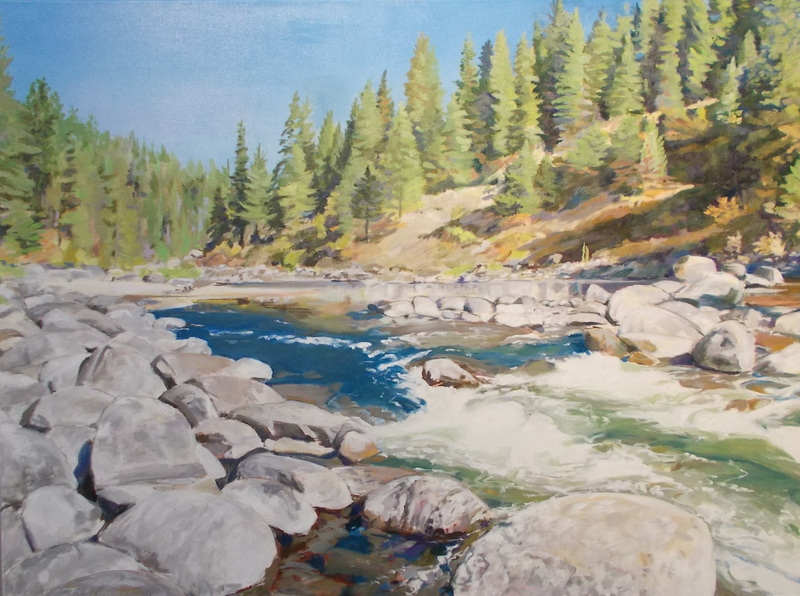 (Idaho Remembered, 2),” which was inspired by a rushing mountain river in the Boise National Forest of Idaho. Artist Kathleen Best Gillmann has been fascinated by the beauty of the natural world for as long as she can remember. 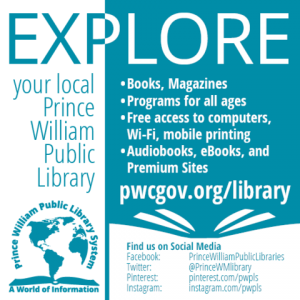 Growing up in Maine, some of her earliest memories include peering into tide pools on the beach and exploring the woods and wetlands near her home. When Ms. Gillmann travels, she captures images of places that intrigue her which she later transforms in her studio into her finished contemporary landscape paintings. 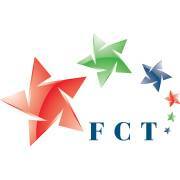 Ms. Gillmann’s art work has been honored with numerous awards over the years. Last year, “March Thaw” in oil took Best in Show at the January Open Exhibit at the Art League Gallery in the Torpedo Factory Art Center, Alexandria. After a career in computer graphics, Sandra McClelland Lewin is now pursuing her new fine art passion with study in watercolor, colored pencil and acrylics. She has developed a realistic style inspired by the beauty of nature. Her travels and photography hobby provide inspiration and abundant material for her paintings. If her work makes you smile or slow down and find a moment of peaceful reflection, Sandra’s work has accomplished her goal of elevating your spirit. 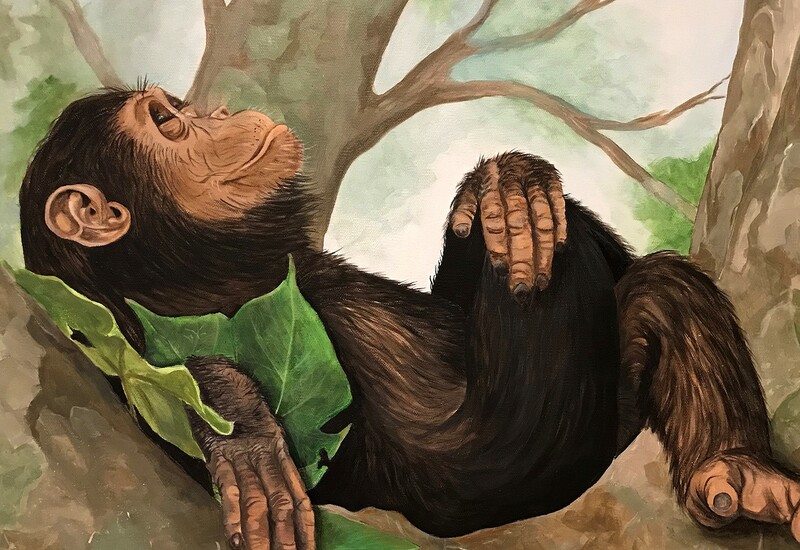 Second Place People’s Choice Award, given to Sandra McClelland Lewin’s acrylic painting “Reclining Chimp,” is part of a growing collection of paintings which will be featured in her July solo show at Arches Gallery at the Workhouse Arts Center. Sandra is inspired by the vibrant hues and the diverse creatures that inhabit the jungle, rain forest, and other tropic zones. Sandra’s work has juried into numerous shows throughout Northern Virginia. This month, Sandra also won First Prize in acrylics at the Fredericksburg Fine Arts show at the Dorothy Hart Community Center. She has been a member of Arches Gallery since 2017. See more of Sandra’s work on her website, SLMLart.com and be sure to come back to Arches Gallery in July for her solo show. Rick Reda’s photo, “Horse of a Different Color,” is an image of a zebra seen in the Serengeti National Park in Tanzania. To make it completely different, Rick replaced the zebra’s black stripes with a psychedelic design. Rick Reda has been a photographer for over forty years. Specializing in landscapes and wildlife, he has traveled from Alaska to Antarctica to Africa. He started with a makeshift darkroom set up in the bathroom of a two-bedroom apartment in Detroit, developing and producing color prints. Within a few short years, his photographs were on display in the Trimpe Gallery in Detroit. Over the years he has transitioned from film to digital photography. He is currently has work displayed in Arches Gallery at the Workhouse in Lorton, and The Loft Gallery in Occoquan, as well as in several private collections across the United States and in Europe. To see more, you can visit his website at rickredaphotos.com. Anne Hollis’s three-dimensional collage of a lion’s yawn, “It’s Too Early!,” also placed third this month. 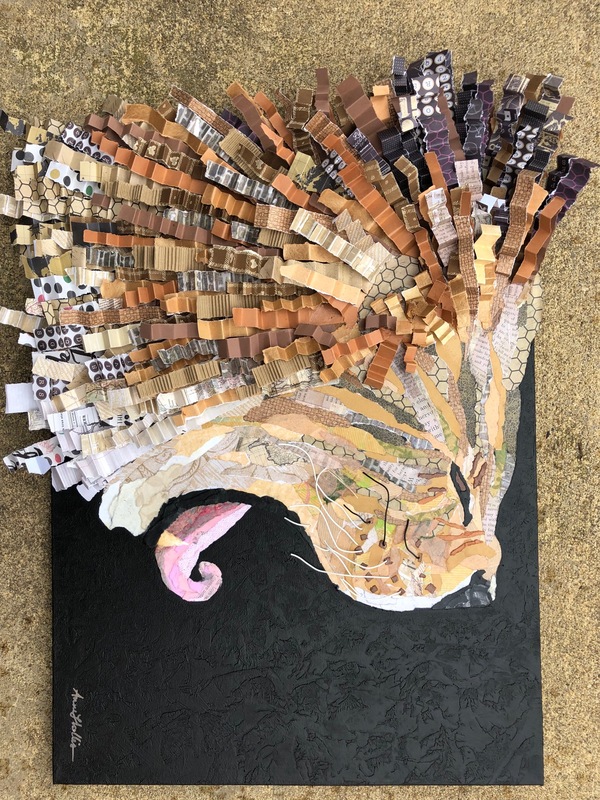 Anne created the texture of the lion’s mane with a variety of accordion-folded paper strips attached so they flow up and beyond the edge of the canvas. Originally from Pennsylvania, Anne Hollis moved to Virginia to pursue a career in education and has been teaching art to elementary children for over 20 years. Originally a painter, Anne turned to collage in 2015 when she was commissioned to create an artwork and decided to explore this new direction. Anne loves the possibilities of collage and mixed media. She finds the juxtaposition and layering of different papers and textures create visually stunning results.